Kathmandu, 10 August : The Special Court has convicted notorious gangster Ganesh Lama on the money laundering charge on Thursday and sent him to judicial custody. 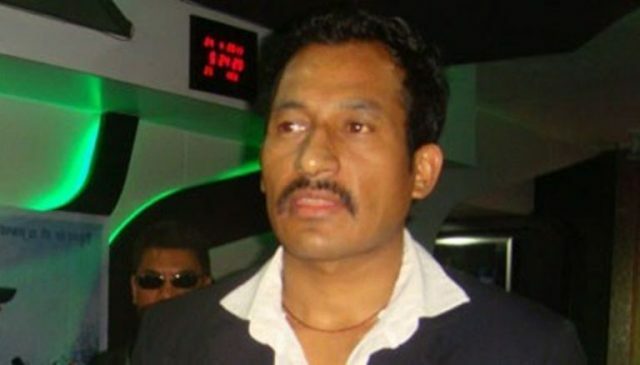 Lama is one of the five notorious gangsters –Deepak Manage, Milan Chakre, Parshuram Basnet, Abhishek Giri and Lama himself — against whom the Department of Money Laundering Investigation (DoMLI) had filed cases on charges of amassing millions of rupees illegally. A joint bench of justices Chairman Babu Ram Regmi and members Dwarikaman Joshi and Ratna Bahadur Bagchand have found him guilty of illegally amassing property equivalent to the amount and slapped with a one-year jail term and confiscation of his property worth Rs 14.05 million. But the value of his property that the court has ordered for confiscation is lower than the amount that the prosecutor had demanded. The court, however, has acquitted Lama’s family members—his wife Laxmi Lama, father Palsang Lama, mother Ranju Lama and brothers Binod Lama and Rakesh Lama. Lama is now associated with the Nepali Congress, while Manange, Chakre and Basnet are considered close to the ruling Nepal Communist Party (NCP). On August 20 last year, the court had acquitted Manange on the charge. Another gangster Milan got a clean chit on January 24 followed by Basnet on April 8 and Giri on June 19 this year.